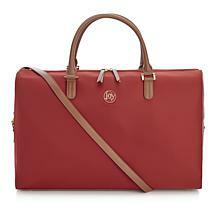 Your destination awaits. 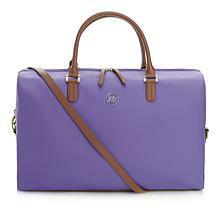 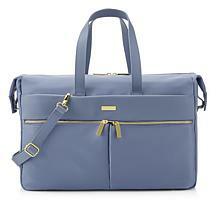 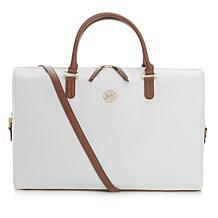 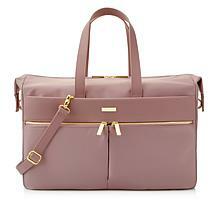 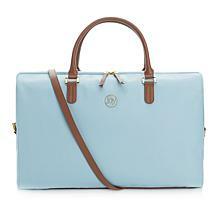 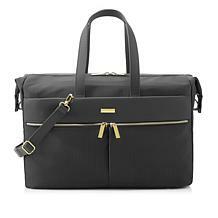 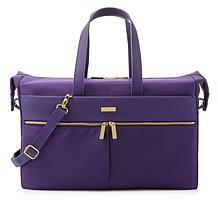 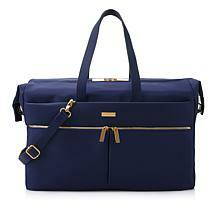 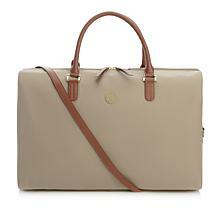 Get there with your necessities in this sophisticated leather-trimmed weekender. 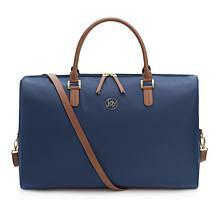 Perfect for just a few outfits over a couple of days, or as a complement to a larger luggage set, this travel piece is certainly going places. Choose your favorite shade for a travel savvy look.